Should You Try An Online Backup Solution? You have lots of options when it comes to backing up your data. Tape drives, NAS devices, USB drives and of course cloud-based backup. One of the most common questions we get asked about backing up is should we be using an online backup service? Generally speaking, an online backup features a storage system where a copy of all your files and even systems is kept on a remote server online and are only accessible through an internet connection. 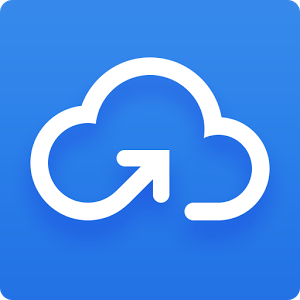 Backing data to the cloud gives you some level of security and if something were to happen to your data, you can easily access them and restore your system so long as you have an internet connection (the faster the better!). Online storage and backup data can be accessed from any computer, so you can reach your files even if your computer is lost or stolen. You can also access your files from other computers while you are traveling, even if you forgot to bring those files with you. Automated services that back up all files on your computer at preset times are also useful because you data is protected without requiring that you remember to run a manual backup or connect the computer to a hard drive. Good backup and storage services have redundant systems so that even if one of their storage facilities is damaged, your data will be safe, unlike a single physical backup device. Data on the Internet can be accessed by hackers if the security is not high. This is also true of any data on your computer when it is connected to the Internet, but physical backup discs can’t be accessed remotely. Online backup services may also charge monthly or annual fees, which over time can add up to much more than the cost of a physical backup device. To successfully use online backup or storage, you must remember your password and user identity to access your materials. Otherwise, your backups will be inaccessible unless the program you use has the ability to verify your identity and reset your access codes. Your internet connection speed is the biggest limiting factor, if you broadband is slow forget online backups. If you’re still unsure about online backups or want to discuss the services we offer, get in touch with us on 01539 720104.